British Airways was running a competition that was part of a marketing campaign. To enter the competition, people had to take a selfie of themselves in front of their preferred destination and post it on twitter. 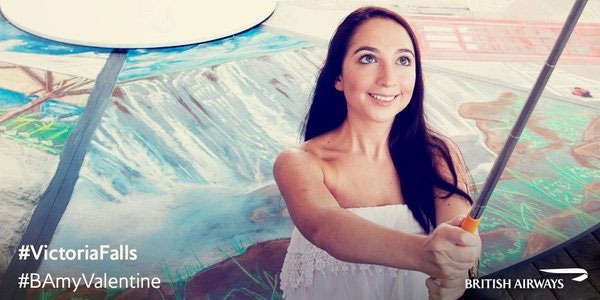 The winning prize was two club tickets to the destination in your selfie. We were tasked to create a beautiful chalk depiction of some of the world’s most romantic destinations. These destinations were pre-selected by British Airways cabin crew and were the centrepiece of the event. Chalk pavement art was selected as it is unusual in South Africa, but associated with many popular European destinations. The six destinations selected were London, Paris, New York, Rome, Mauritius and Victoria Falls. 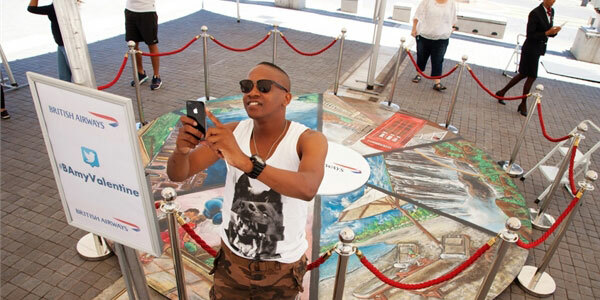 The artwork was displayed in the piazza at Melrose Arch, a popular public space, surrounded by many restaurants. We loved the fact that it was a live event. We were able to engage with the public as we did the artwork and attracted quite a crowd. The project ran pretty smoothly except for one small snag, the shopping centre management did not want any chalk on the paving so Meropa had to quickly source a chalkboard at the last minute. This was a minor setback but didn’t stop us from meeting our deadline. 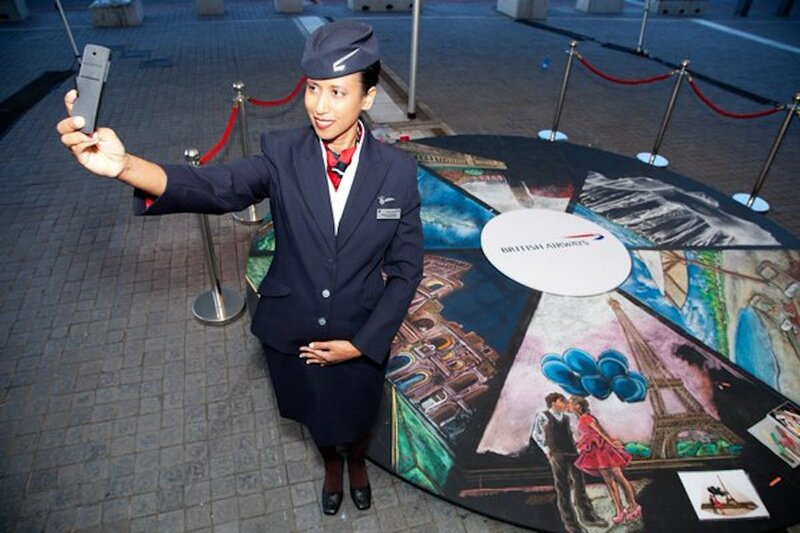 Meropa Communications and British Airways were ecstatic with the end result and the event was a huge success. A special thanks to Vanessa Blundell who assisted with the artwork. You a star!